Geothermal heating and cooling is literally a ground-breaking technology that has the capabilities of cutting your heating, cooling, and energy bills back greatly. Kenrich Mechanical specialized in closed-loop geothermal systems that rely on the consistent temperatures of the Earth to heat and cool the home. By stealing the temperature from the Earth, you eliminate the outdoor unit of traditional systems which cuts back on the energy bill and increases the efficiency of the heat pump. Reliable, because geothermal unit are not subjected to the punishing effects of outdoor weather or fuel combustion they last longer than nearly every other heating/cooling system. 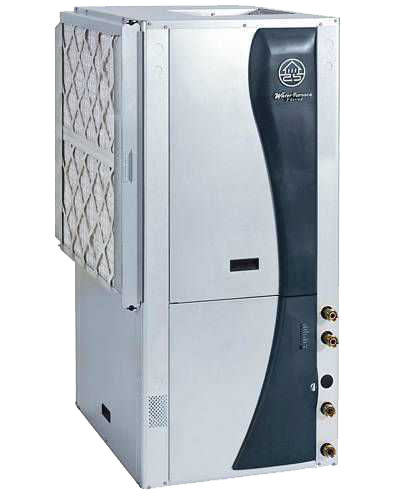 Flexible, WaterFurnace units provide heating, central air, and supplemental domestic hot water for your entire home. Safe, a WaterFurnace system does not use natural gas, propane, or oil for operaton with no combustion, flames, or fumes so no chance of carbon monoxide poisoning. Environmentally Friendly, recognized by the EPA as the most energy efficient heating and cooling technology available. Comfortable, these units are designed to run more often at low speeds to provide stable temperatures through the home and help eliminate hot or cold spots. For more information regarding the equipment, installation, quotes, and benefits of a Geothermal heating and cooling system, please contact one of our Geothermal experts.